8711 Master Accessory Kit is a BIONICLE set released in 2004. 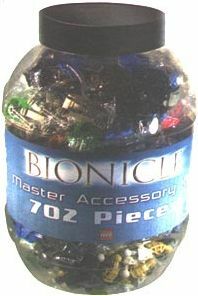 It contains 702 BIONICLE pieces, and is the biggest accessory tub from BIONICLE released. Facts about "8711 Master Accessory Kit"